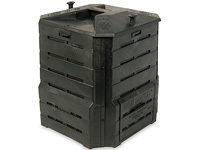 We tested over 20 composters these past few years before choosing our composter line. 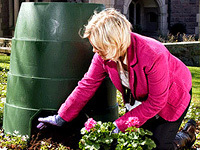 What sets these composters apart is their ease of use and faster composting times. However we go one step further in choosing durable and easy to assemble systems that will be hard working garden tools for years (arduous assembly knocked out quite a few). 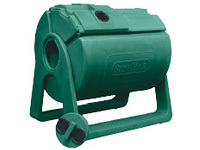 The Sunmar 200 is perfect for hobby gardeners with kitchen scraps and general yard waste. The compact size is perfect for any yard. The mid-size Sunmar 400 is suitable for general yard waste or the serious gardener with kitchen waste and garden trimmings. The Green Cone Composter is the solution composting kitchen scraps without dealing with regular turning and distributing of compost. 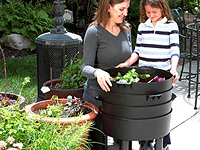 The Green Johanna Compost Bin is a year-round outdoor composter designed to be rodent proof and well insulated. 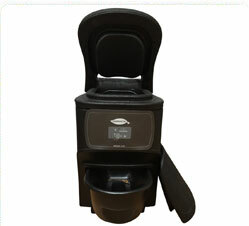 The Compostio C30 brings year-round composting to the home user, providing a source of rich, organic fertilizer. 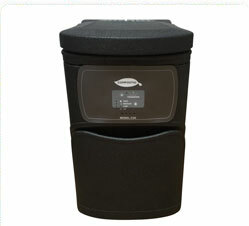 The new Compostion C40 is a top of the line compost bin for serious users. Same size as the Compostio C30 with added features. The SoilSaver Backyard Composter makes it easy to turn yard waste and food scraps into compost - black gold for your garden. The Can-O-Worms worm farm is user friendly and easy to operate for all ages. It can be left on a balcony or in a laundry for apartment dwellers. 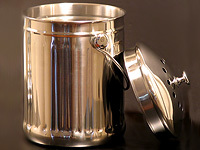 This Stainless Steel Compost Pail is perfect for collecting food scraps for your compost pile. You'll tell visitors about the benefits of composting when they ask what it is.